Single rubber Rotating Control Device (RCD) is the RCD which is designed with one rubber sealing for added safety and performance. 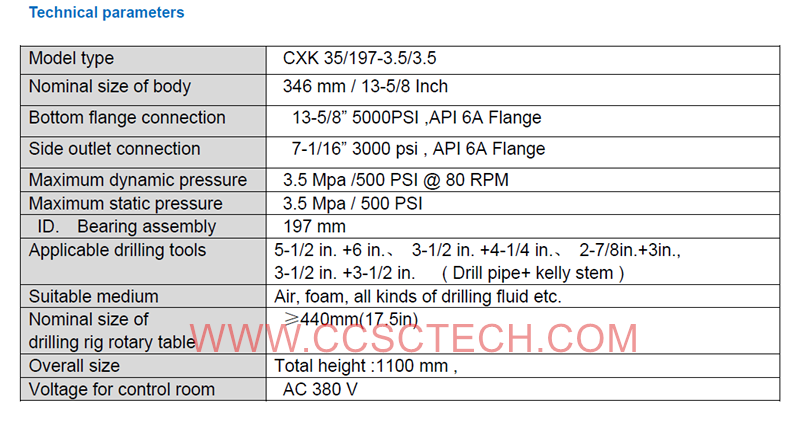 Single sealing elements can be easily and quickly changed so as to saving time. Rotating assembly can be installed or removed with an integral piece so as to improve work efficiency. 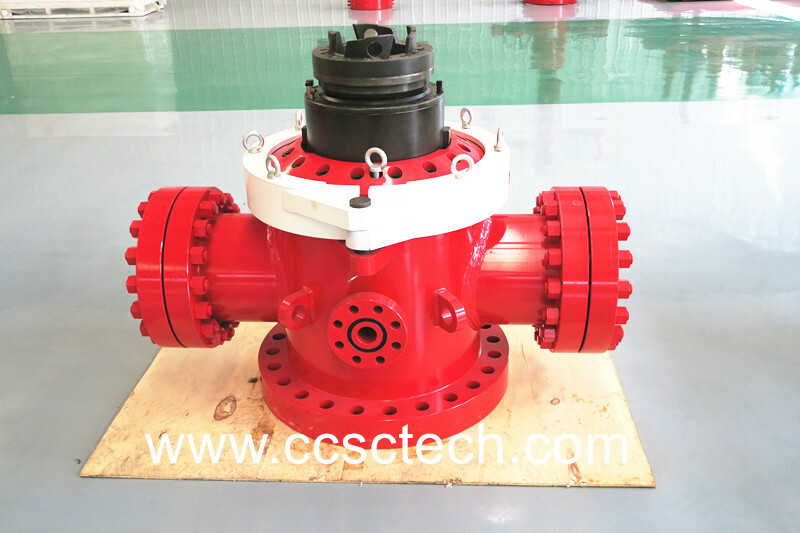 CCSC single rubber Rotating Control Device (single rubber RCD) is designed and manufactured in accordance with API 16-RCD.it is manufactured and improved from Weatherford safeshield, Williams, Schlumberger MI-SWACO,SHAFFER, HALLIBURTON etc. CCSC Technology is not an authorized agent or sales representative of Weatherford and Schlumberger, Halliburton.